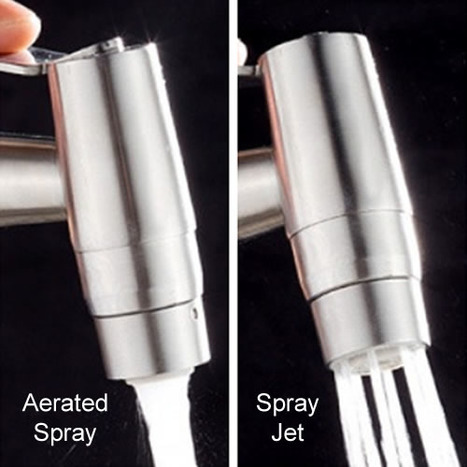 ABX5000: Twin Jet bidet shower (Jet Spray / Aerated Stream) twist head 1/4 turn to change spay to stream. 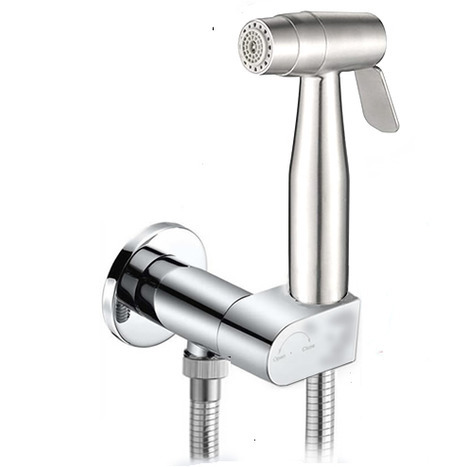 Beautiful crafted in Mirror Chrome finished Marine Grade Stainless Steel, with chrome high pressure ant-tangle hose and mirror chrome wall mounting bracket with integrated Auto Prompt Shut Off water isolating valve. 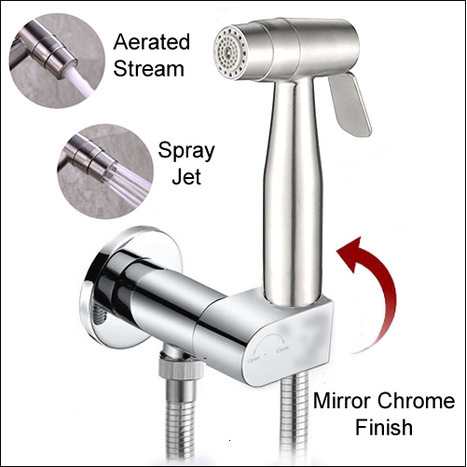 ABX5000: Twin Jet bidet shower (Jet Spray / Aerated Stream) twist head 1/4 turn to change spray from Aerated water jet to stream with matching mirror chrome Auto Shut Off water isolating valve. 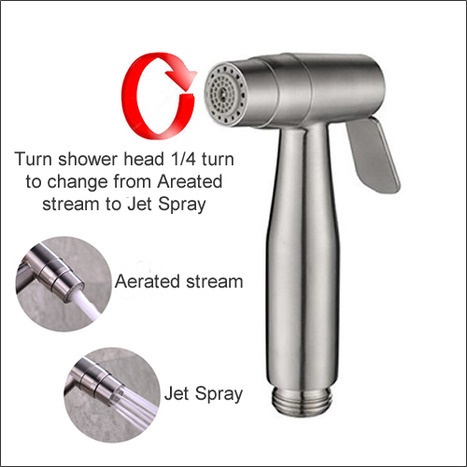 Twin Jet (Spray Jet and Aerated Water Stream) shower head, turn shower head 1/4 turn to change from jet to aerated stream, manufactured in marine grade chrome finished stainless steel, weight of shower head, around 250 grams.. 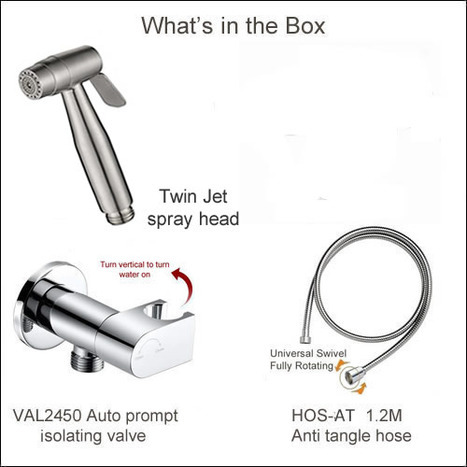 Basic installation information available by clicking the Installation Guides..